My mixed fellings about my electoral loss today might be summed up best by the Chinese Fortune found inside the cookie I ate for lunch: "It is better to have a hen for tomorrow, than an egg today"
I would like to sincerely thank everyone who supported me in this campaign, and assure all that I intend to stay active in local affairs. I will continue to work for unification of the city and county governments. I want our local government to be more progressive, more responsive to its citizens, more committed to the quality of life in our unique city. In this time of challenge for the city and county, I urge everyone to be involved in our local government - Democracy requires hard work on the part of its citizens! I am very proud to be a native of Macon-Bibb County, GA.
July 20, 2004 - Vote in the Primary - Early voting began on July 13 at the Bibb County Board of Elections on Pio Nono at Eisenhower next to Office Depot and Long John Silver's. 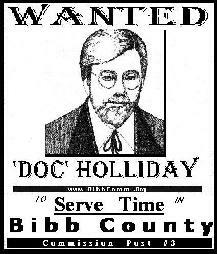 He has already helped to save Liberty Lake, Ingleside Avenue, Ocmulgee Old Fields and Brown's Mount - Now He is WANTED to help save Bibb County and its principal city - Macon, Georgia. - Disclaimer: I had a lot of help with those earlier projects, and I will need a lot of help to accomplish the action plans below! I feel confident that the goals below are popular enough, so that they are doable within 4 years using intelligent, honest and inclusive leadership. 2- Encourage Citizen Participation by improving TV and Internet communications systems and programs. 3- Restore financial responsibility and independence to Bibb County Board of Education. 4- Facilitate the Roads Improvement Program by promoting less controversial designs that are more efficient and neighborhood friendly. 5- Recreational Vision - A series of passive neighborhood parks, connected by walking/biking paths to the Riverwalk, connected to the Ocmulgee Monument boosted to National Park Status. using the Internet and Television. 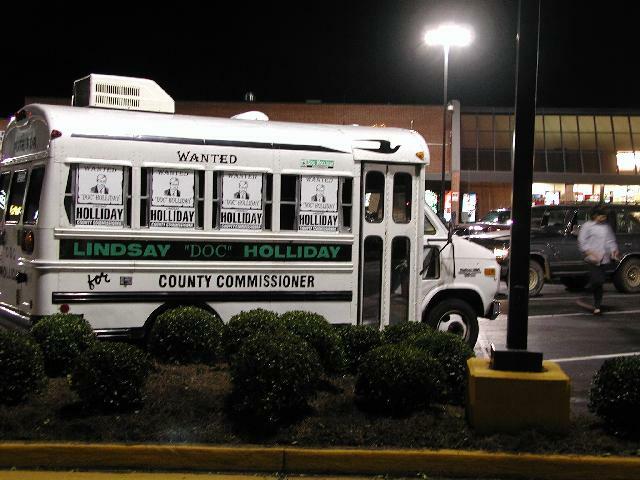 Who is Lindsay "Doc" Holliday? I am asking for your vote to serve as your Chair of the Bibb County Board of Commissioners. If afforded the privilege of serving you, I will bring a level of integrity and innovation to our local government that I believe is essential, but sorely lacking in Bibb County. 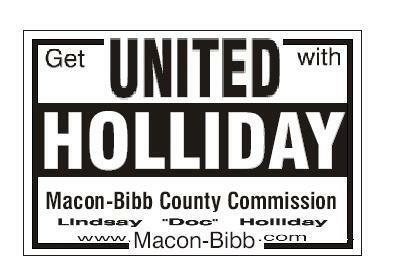 My primary goals are Macon-Bibb-Unification, and Preservation and Enhancement of our best assets. Better planning and responsive and efficient government will stretch our tax dollars. Quality of life in Bibb County will be improved through preservation of our neighborhoods and improvement of our schools and parks. Additionally, if elected, I pledge to serve my full term with a focused and effective activism equal to my past reputation. I believe the Chairmanship should remain a part-time job. So, I am grateful for my "real" job of serving my dental patients, whom I will continue to serve for 3-4 days a week as I have for over 20 years. I would like to thank you for voting on July 20th. Let's move our community forward together! Unification should involve County, City, School Board, Water Authority, Planning and Zoning, Transit System and Industrial Development Authorities. Unified government must become more efficiently run and more responsive to residents. We need to enlarge our "Civic Capacity" - our tolerance for and appreciation of diversity, and the spiritual , physical and economic strength that it brings. - We must provide for sustainable and responsible growth and a quality road system. - We need to preserve our wonderful neighborhoods and our natural beauty. - A balanced transportation system is a necessity, including quality public transportation and efficient roads. - An Atlanta-Macon rail link will someday become critical for economic development, because I-75 will never again flow freely as it did in the past, and it will continue to worsen over time. - Sensible renewal and reinvigoration of Downtown Macon should be supported. - We have to protect and improve the quality of our air and water. We need to improve our Public Schools by promoting Neighborhood schools while maintaining the benefits of Integration and diversity. - Neighborhood schools have been one of Macon's strengths, and deserve to be preserved whenever possible. - Public School personnel should be supported in every possible manner. 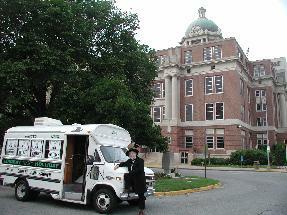 - We need to support all of our historical and cultural treasures. - Our historic homes, local Museums and National Monument deserve our active support. - We should provide for and expand all types of recreation in Bibb County. Emphasis here on passive recreation because it serves a wider audience for less money. - By these means our quality of life will be enhanced, while making Bibb County much more attractive to new businesses and residents, as well as longtime citizens. Lindsay “Doc” Holliday - born and raised in Macon - attended public and private schools here, graduating from high school in 1973. He attended Emory at Oxford, UGA, and Macon Tech. 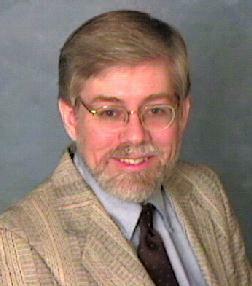 He graduated with honors from Mercer University in 1977. October that year he married his wife, Marie, a fellow Mercer graduate. He then went to Dental School at the Medical College of Georgia in Augusta and graduated in 1983. He returned to Macon to join his father, Dr. P. O. Holliday, Jr. (who has been a Dentist here for more than 50 years) in his Dental Practice. Lindsay and Marie have one child - Faira - who graduated from Central High School in 2004. They have both been active members of the PTA/PTSA since Faira entered K-5 at Rosa Taylor, often volunteering at Bibb Public Schools in many capacities. They have spoken a number of times at Board of Education meetings. They believe strongly in the importance of supporting and improving Public School education in Bibb County. 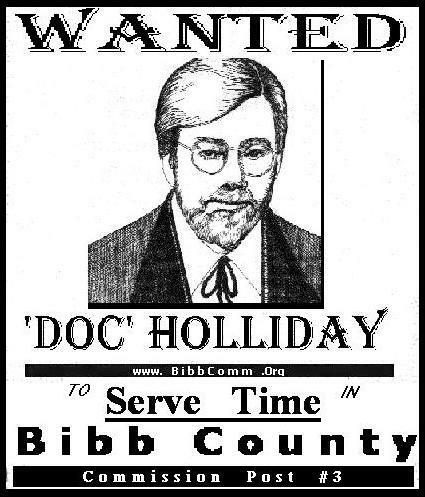 “Taxpayers demand more oversight to make sure the politicians are spending their money wisely.” - Lindsay “Doc” Holliday to Bibb County Commissioners in Minutes of their May 14, 2002 meeting. 2. Dr. Lindsay Holliday addressed Council in opposition to the proposed SPLOST and advised that he would like to have the vote postponed until November 2005. He advised that the Mayor is using City money, equipment and employees to promote the SPLOST that is illegal. Also advised that the Board of Education and NewTown Macon are also illegally promoting the SPLOST. 2. Dr. Lindsay Holliday addressed Council regarding the proposed SPLOST. He advised that he could not support a new SPLOST unless the two current SPLOSTs (Macon-Bibb Roads Improvement Project and the Pennies For Schools) clean up their acts. 2. Dr. Lindsay Holliday commended Mayor Ellis and the Macon-Bibb County Planning and Zoning Commission on the proposed plans for Ingleside Village for neighborhood and street improvements. 6. Dr. Lindsay Holliday addressed Council regarding the proposed SPLOST and suggested that Council invite the Bibb County Commissioners and the Bibb County Board of Education to have their meetings in the Council Chambers so they may be televised to help them achieve more citizen involvement. MARCH 4, 2003 - 6:00 P.M.
3. Dr. Lindsay Holliday thanked City Council for their efforts in getting the attention of the Georgia Department of Transportation to better meet our needs of our community regarding the I-16 and I-75 Interchange. Dr. Holliday discussed alternate plans to solve the Fall Line Freeway and the levy problem. He advised that Georgia Department of Transportation is planning to put a stop light on the Second Street Bridge but is not taking away the stop light at Spring Street because there will be more traffic at the spring street stop light under the interstate bridge. He advised that he has a team of interested citizens working on a plan and will have the drawings in two more weeks. 6. Dr. Lindsay Holliday addressed Council regarding the proposed SPLOST and the construction of Poplar Street in the midst of the Cherry Blossom Festival. 3. Dr. Lindsay Holliday addressed Council regarding pedestrian deaths on East Macon Streets. He advised that the City of Macon spent $80,000 on a traffic calming study and to his knowledge none of the investment has been used. Requested that Council pass a resolution to change the direction of the Road Improvement Program Executive Committee. 6. Dr. Lindsay Holliday, advised that tomorrow morning at 9:30 a.moo. there will be a chance to redirect transportation in Macon at the MATA Policy Meeting. He advised that the Mayor and President Ponder serve on the committee and a motion can be made to change the needs and purpose and combine the I-16/75 Interchange, Eisenhower Parkway Extension, and the Levee projects. He advised that there is a way to design the other two road projects to become the new levee that would save several millions of dollars. Dr. Holliday also expressed support of a resolution supporting the Bill of Rights. CITY COUNCIL MEETING - COUNCIL CHAMBERS - FEBRUARY 4, 2003 - 6:00 P.M.
2. Mr. Cam Oetter, Chairman of the Citizens Advisory Committee of the Macon Area Transportation Study, addressed Council regarding public participation in transportation planning and regarding the proposed reconstruction of the I-16 and I-75 Interchange. 2. Mr. John Wilson addressed City Council and presented an environmentalist’s guide on "How to get the Eisenhower Parkway Extension/Fall Line Freeway built" and regarding the proposed reconstruction of the I-16 and I-75 Interchange. 3. Dr. Lindsay Holliday addressed Council and presented a proposal to solve the problems regarding the proposed reconstruction of the I-16 and I-75 Interchange. He advised that one way to solve problems is to turn the interchange into a local bridge that would also solve the levee problem, the Ocmulgee National Monument, and Muscogee Creek Nation problem.